AAA LOCKSMITHS & SECURITY was founded by Philip Du Plessis in 1999 with the objective of becoming a prompt and professional locksmith and security service provider that will serve clients throughout the whole Cape Peninsula. For over a decade, AAA LOCKSMITHS has been serving the Peninsula and its surrounding towns, providing security services for things that are most important to you—your business, house or vehicle. Over the years, we provided security and professional locksmith services to hundreds and thousands of individuals, private businesses, and government clients including banking institutions, property administrators as well as the British, Russian, German, Belgian, Italian, Irish and Swiss Consulates. In 2004 and 2005, Rael Sagor and Shamiel Williams joined the team. Sagor, who has been locksmithing since 1992, boasts of years of experience in high security locking systems while Williams is equipped with more than 20 years of experience in the industry, and an expert in safe work and escape hardware. 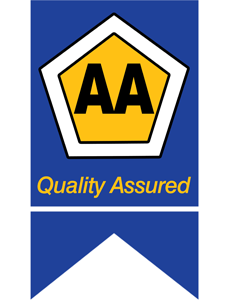 Over the years, AAA LOCKSMITHS has branched out all over the Peninsula. With its main office located in Cape Town City Bowl, it has 10 other 24-hour service areas offering auto locksmith and emergency locksmith services such as: Sea Point, Claremont, Bellville Wynberg, Somerset West, Stellenbosch, Khayelitsha, Mitchell’s Plain, and Table View. A certified BBBEE company, AAA LOCKSMITHS is a registered security service provider offering basic access control, biometrics and intercom installations, and auto locksmith and emergency professional locksmith services. 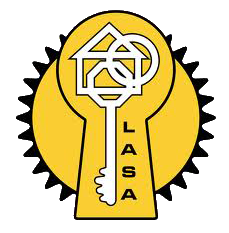 All AAA LOCKSMITHS technicians are registered with the Private Security Industry Regulatory Administration (PSIRA) as required by law & The Locksmith Association of South Africa (LASA). We take much pride in our workforce. AAA LOCKSMITHS’ dedicated staff is willing to answer your queries and walk you through our products and services, schedule service appointments/ visits at the most convenient time to you, and provide emergency security dispatch anywhere you are, 24/7. Our locksmith professionals, as well as security technicians, are assured as some of the best in the industry, with up-to-date expertise and continuing education and training on the latest industry information and methods. Labour by our locksmith professionals and security technicians are guaranteed to be of superior and excellent quality. We guarantee that all keys & locking hardware products installed in your vehicles, houses and business properties are high-caliber. Most of our products also have manufacturers warranties covering at least a year to an entire lifetime. While costs may vary depending on the security service that you require, as well as your location and the time of the day when you availed our service, AAA LOCKSMITHS can give you value for your money. For us, it is standard procedure to assess your security needs in person and offer products and service quotes before we get to work. If you reside or work anywhere in the Cape Peninsula or its surrounding towns, and have a need for professional locksmith and security services, call AAA LOCKSMITHS today. We guarantee you that we are masters of the locksmith trade, in both the science and art thereof, and among the best in the industry. Call us today and find out for yourself why we are the preferred locksmiths in Cape Town. If you are interested to join the AAA Locksmith brand and have a locksmith business throughout South Africa, then click the link below to join us now and enjoy the benefits of our extensive, growing and ongoing marketing program. Your own detailed web page.